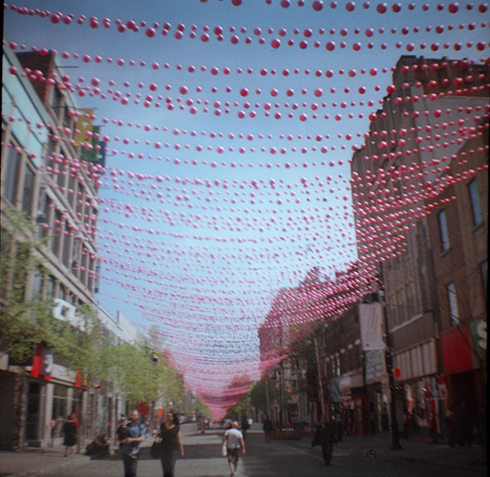 Photos I took in Montreal with the Diana are finally developed :D Here are some of my favourites. 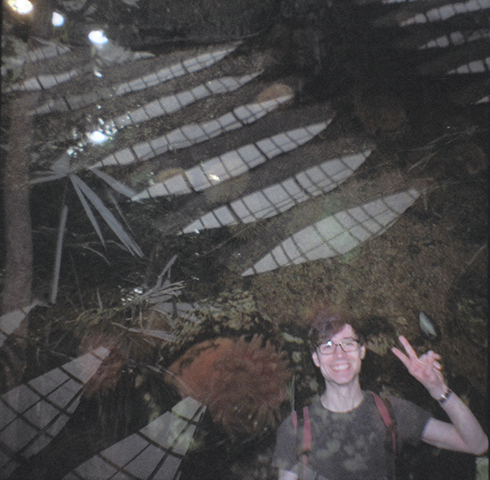 Double exposures sometimes make really fun collages :D Couldn’t quite remember what I took pictures of when I first looked at this… It was from the Biodome, an image of anemone in an open pool, overlapped with an image of Mike in front of tropical plants. 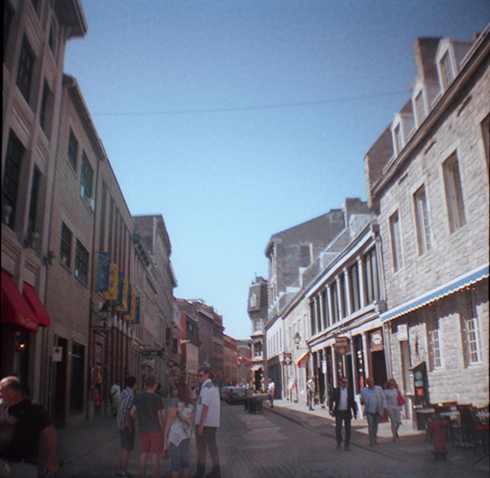 Beautiful streets of Old Montreal on a beautiful day :D We were blessed with really nice weather. 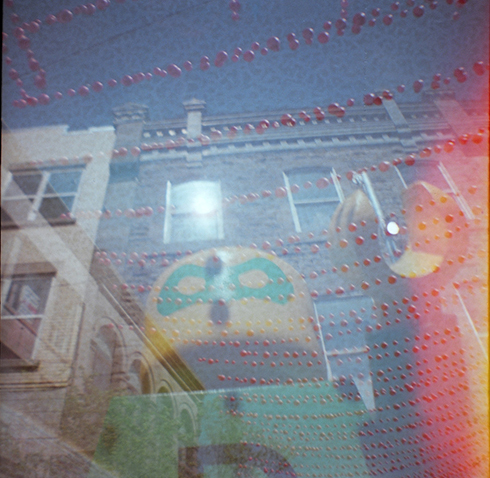 Not sure what my camera did with this image. 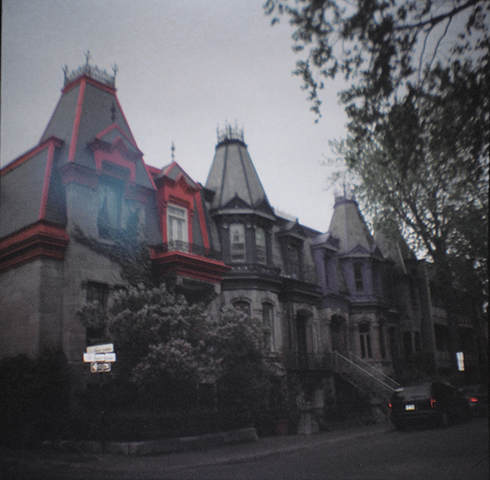 Somehow most of the colours are stripped away, making the picture look like a horror novel cover :S The actual scene was quite cheerful with these colourful houses! The house between the red and the purple is supposed to be blue. 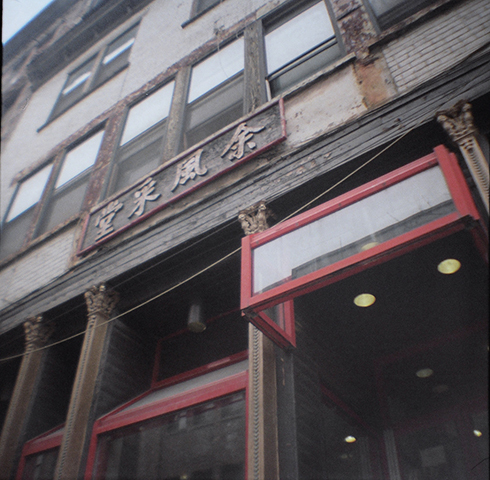 Chinatown. I really like the depth of field in this one. 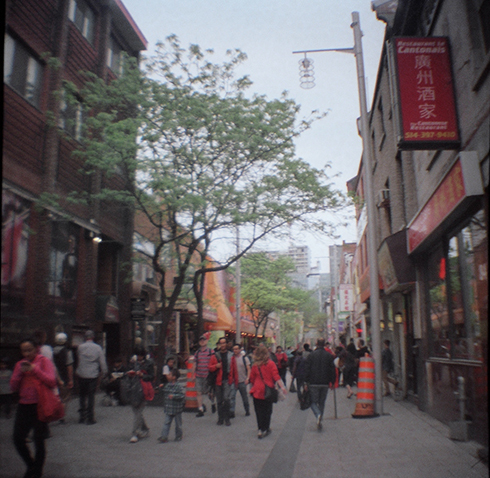 I find the Montreal Chinatown a lot cleaner and more picturesque than the one in Toronto. 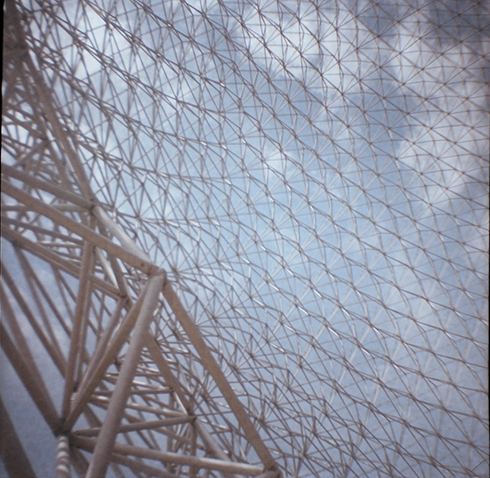 Inside the Biosphere, which is located on Saint Helen’s Island. 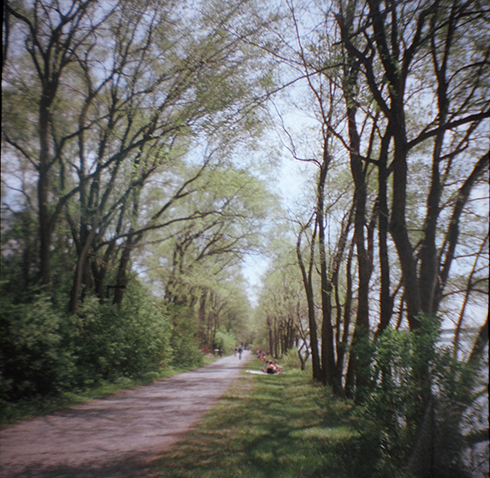 We took a long walk on a tree‐lined path on the island along the river. This one is titled “D pour Democratie”. We squeezed in a visit to the central library right before catching our train home. 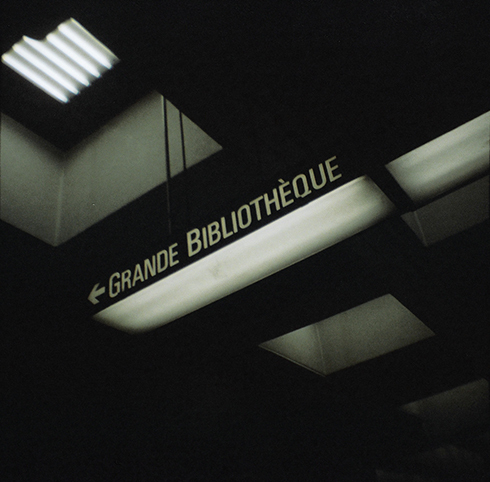 The library is accessible through a metro station. I like the solemnness of this photo. We had leftover film after our trip, so we took our cameras to a couple of historic sites during Doors Open Toronto last weekend. More photos to come!